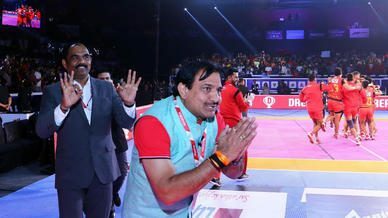 Even though they emerged victorious against Telugu Titans on Thursday in Kolkata, there was not much reason to celebrate for Puneri Paltan coach BC Ramesh. 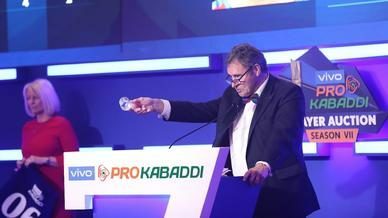 After ripping open a colossal 21-point lead in the 12th minute of the match, the Paltan were pegged back incredulously at the Netaji Subhash Chandra Bose Indoor Stadium and eventually won by only five points. "We have got five points in the tally and for that I am happy," BC Ramesh laughed dryly, "But with the lead that we had got in the first 15 minutes or so, we should have won this by 25-30 points. The world was watching. Even I was thinking the same. In the end, we won by just five points, so I am not really that happy." With the scoreline reading 22-1 in the Paltan's favour, Elangeshwaran R struck a four-point super raid that swung the momentum towards Hyderabad. 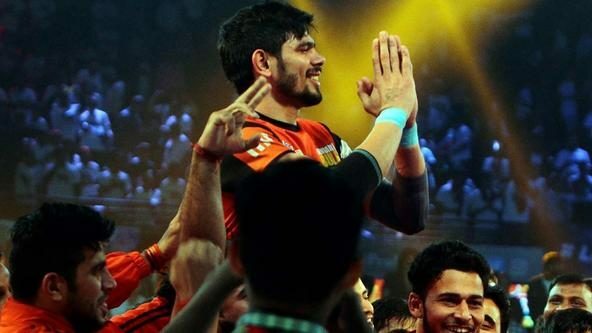 From there on the Rahul Chaudhari-led squad continued to cut the lead and at one point, not far from the final whistle, they were trailing by just four points. Only a Girish Maruti Ernak super tackle in the dying moments nailed the game the Paltan's way. "Because of the big lead, the defence started playing very aggressively which they shouldn't have," Ramesh explained. "They should have kept calm. Our defence should have known that their raiders weren't delivering. We should have played calmly by using our heads. "The players should understand that we have a lead of 21 points and we can win easily by maintaining it. It was an advantage. Hyderabad didn't have the lead so they would play aggressively, even then we would have lost just a point or two. We had decided to slow down on the raids and they capitalised on it," he added. Also, it was the Titans' resilience that turned the game around for them but overcoming a huge deficit proved just too much in the end. 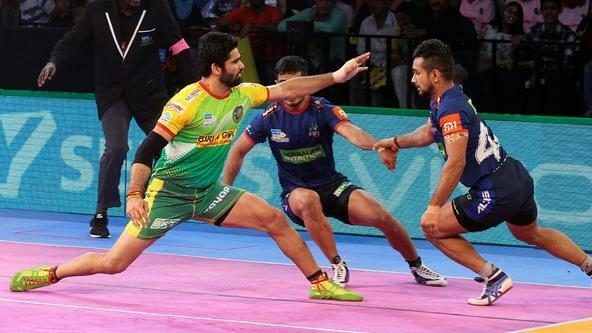 "We were trying to stay in the match till the end that but at the start both the defence and offence were very weak and that's why they got a big lead," Telugu Titans coach Naveen Kumar pointed out. "Then we planned that we will focus on the do-or-die raids because we didn't have any other option to recover from there. We tried but it wasn't enough," he added.